A lot of people want to know what we do and how we do it. I think it's time we showed you. A photo diary of how we spend our day (and sometimes, nights) at Le15. We start our day at 7 am every morning. After a cup of hot chai (or nespresso no. 9 arpeggio- my favorite!) we slowly wake up. And then I push the panic button. ''Tara tari, tara tari'' (hurry, hurry) I scream in Bengali (well that's all I know!). 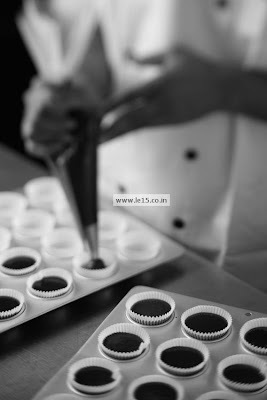 Each batch of our cupcakes is baked fresh every single morning. 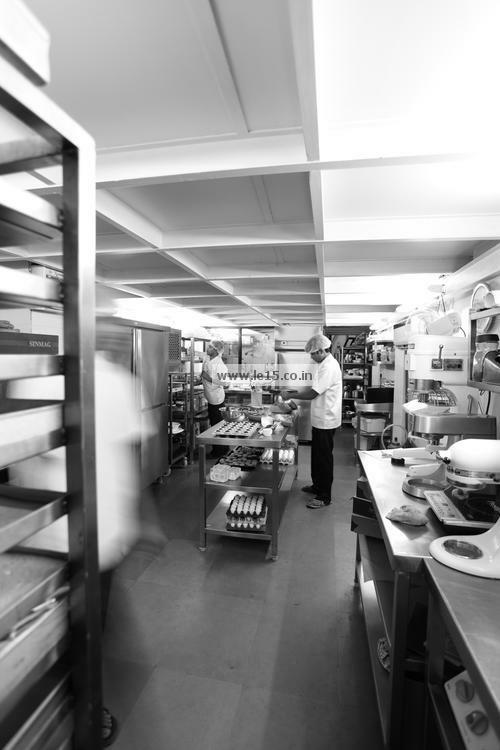 This is the nicest time to be in the kitchen! The aroma of the belgian chocolate cupcake hot out of the oven is irresistible...drool. In a couple of hours, everything is piped, iced, garnised and decorated. 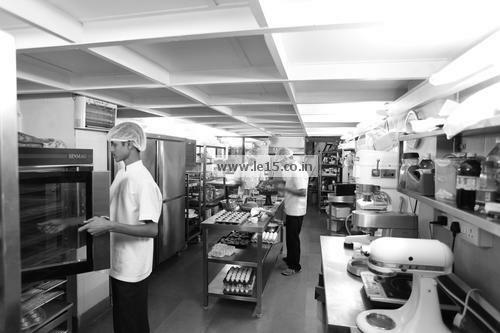 After a strict quality check (yes, we eat everthing we make, everyday) it is dispatched to our outlets. 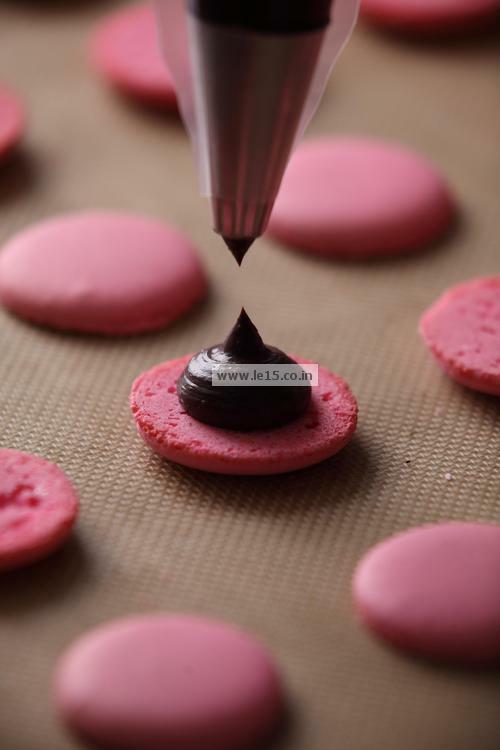 Then, I start making my beloved macarons.I feel like I can make them in my sleep now. Even after a year of making several thousand macarons, watching these babies pop in the oven fills my heart with excitment! ''Fill them with love, fill them with love'', is what you'll catch me saying. After macarons, I love love love making ganache. It is the most mesmerizing thing about baking. 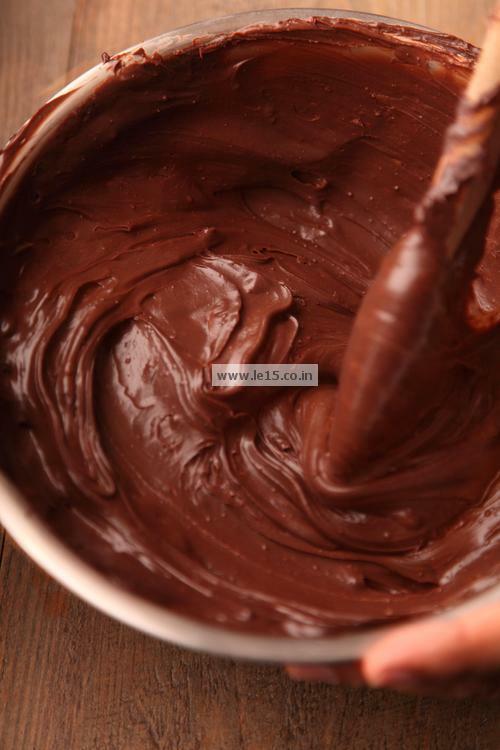 Hot cream poured over chocolate and stirred with butter. Simple and so very beautiful! We then move on to our daily orders.We make everything from scratch. No short cuts, no pre-mixes- just sugar, butter, flour and eggs (and lots and lots of excellent chocolate!). We hand make all our products and focus on quality. This is why we request you to place your orders attleast 48 hours in advance, so we have enough time to organize ourselves. 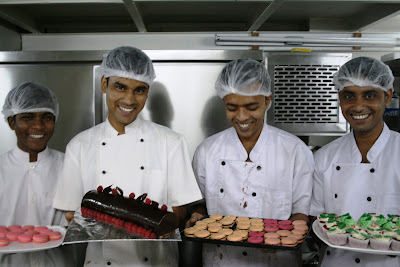 Everything that doesn't get sold (on very rare occasions) from our counters, we donate to a NGO looking after children. We bake till 7.30 - 8.00 pm. My crew then rushes home to catch pavitra rishta (don't ask) on tv and I try to spend some time with my family and friends. We love baking for you, creating something that puts a smile on your face, becoming a part of your special occassions, lifting you up when you're having a rough day...we LOVE baking for you, and that is exactly how we spend each day! SO cutely written , i can feel the loveee! And im a BIG lover of pink , so those macarons are jus what i need! I almost feel like jumping in there and baking with u guys!